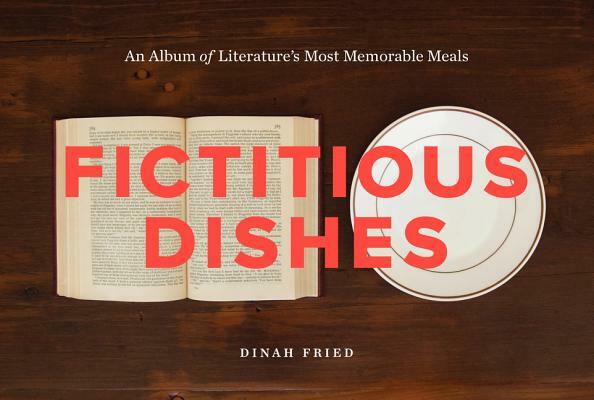 Fictitious Dishes serves up a delectable assortment of photographic interpretations of culinary moments from contemporary and classic literature. Showcasing famous meals such as the madcap tea party from Alice's Adventures in Wonderland, the watery gruel from Oliver Twist, the lavish chicken breakfast from To Kill a Mockingbird, the stomach-turning avocado-and-crabmeat salad from The Bell Jar, and the seductive cupcakes from The Corrections, this unique volume pairs each place setting with the text from the book that inspired its creation. Interesting food facts and entertaining anecdotes about the authors, their work, and their culinary predilections complete this charming book, which is sure to whet the appetites of lovers of great literature and delicious dishes. Dinah Fried is a designer, art director, and writer. A graduate of the Rhode Island School of Design, her work has been recognized by and featured internationally in various media, such as Bon Appétit, The Guardian, the Huffington Post, New York magazine, The New Yorker, National Public Radio, and Andrew Sullivan’s blog The Dish. Her design clients have included RISD, Chronicle Books, Persea Books, Etruscan Press, Oxford University Press, the School of Visual Arts, and ZONA, among others. Her work has won an award from Print, and Graphic Design USA named her a “person to watch” in 2012. She lives in San Francisco.